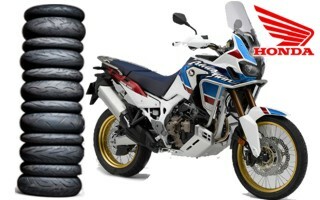 Find the recommended OE (Original Tyre Equipment) or replacement motorcycle tyres, and the optimal tyre pressure for your bike in our database !! On the road, it’s essential to use the tyre pressures recommended by the manufacturer of your motorbike or the tyre producer. You’ll find it in the bike’s handbook, or on the machine itself. The inflation pressure stated in these documents is the pressure when the tyres are cold. 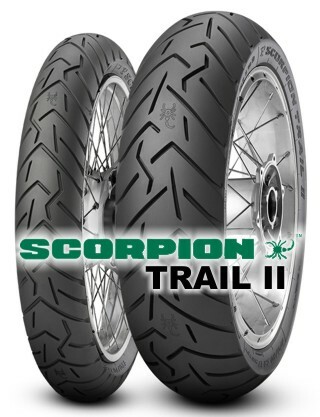 SCORPION RALLY STR - These new dual-sport tyres from Italian manufacturer Pirelli mix a rally-style tread pattern with claims of genuine on-road all-weather grip and feedback. Fitted as OE to Ducati’s 2017 Scrambler Desert Sled, the new Scorpion Rally uses a street bike profile and internal structure to guarantee on-road handling and stability, but mixes it with a knobblystyle tread to give off-road grip too. 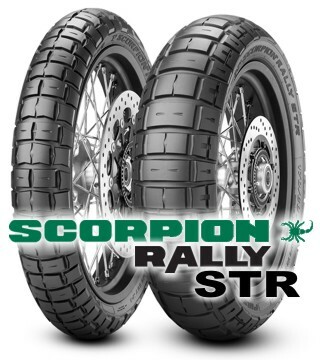 The Scorpion’s rubber compound is high in silica to boost both wet weather grip and mileage. 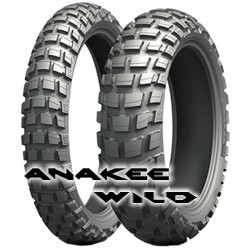 Anakee Wild - Michelin will introduce an off-road version of the new tire that is highly stylized in terms of both design and performance. 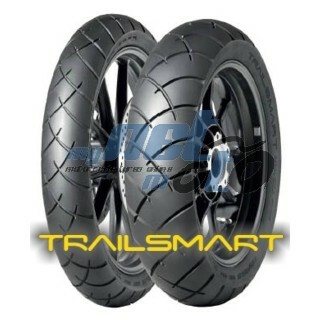 Already certified by BMW, this radial tire targets riders who love to take their bikes out on the trail. 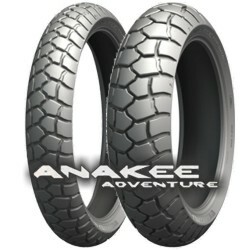 The tire will be available in replacement markets in 2013. 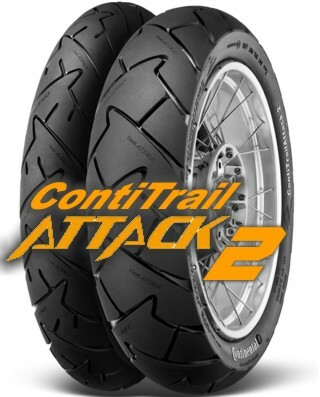 Avon TrailRider boasting a stiffer construction for improvements in handling, rubber compounds have also been advanced to increase performance in the wet, with a dual compound tread for mileage in the centre, and grip on the edges. 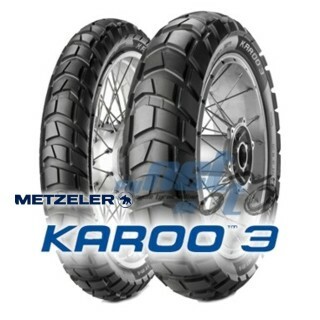 The Karoo 3 is ideal for modern, large and medium capacity bikes which have to travel on both Tarmac and off road, like the latest addition to the BMW family, the new water-cooled R1200GS, which can be equipped with Karoo 3sThe new tyre is highly versatile, capable of guaranteeing high mileage to all those bikers who love to take on mid to long range travel, provide excellent grip off road, plus excellent stability and handling. 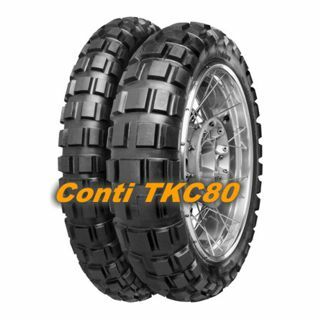 Allround Enduro tyre, which in terms of wet grip and curve stability a further improvement of the driving characteristics compared to the predecessor K60. due to the high negative proportion in the profile sufficient traction in the terrain. 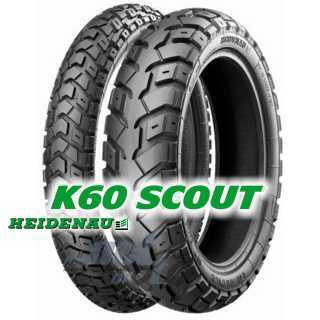 Due to a modification of certain profile elements, an optimized construction of the tire carcass and an improved tread mixture, the Scout achieves very high driving stability and a considerably higher safety in wet conditions, especially in the curve behavior.